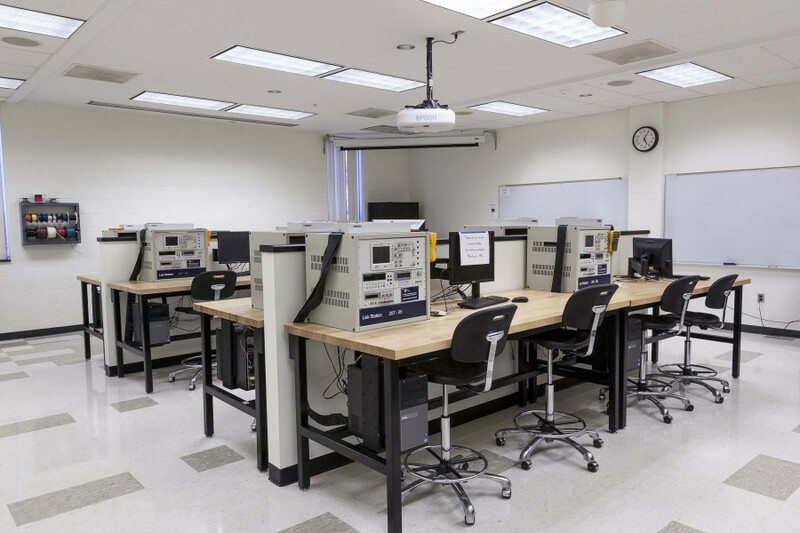 The project consisted of the renovation of 4,700 SF of existing classrooms into new electro-mechanical laboratories including 18 new work stations. An existing three phase variable voltage control unit and all associated conductors and conduits were relocated to laboratory work stations. A new 150 amp three phase feed from the main distribution panel to a new panel was designed to feed new electro-mechanical work stations. 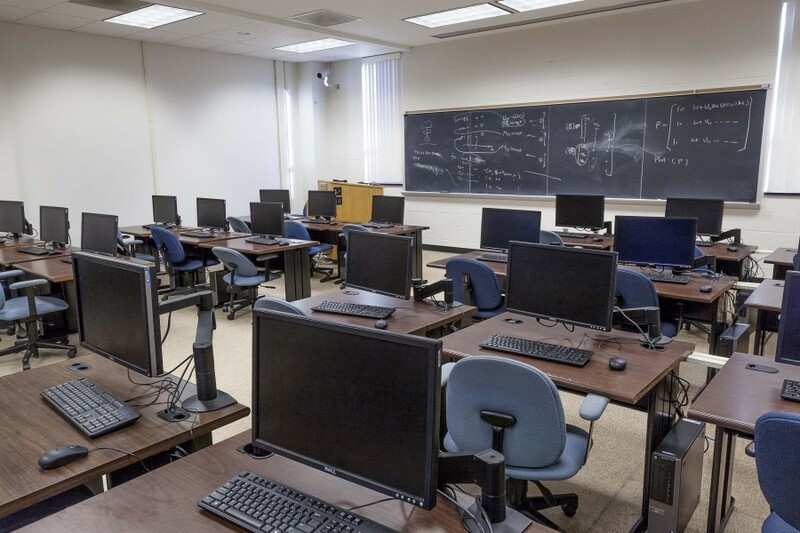 Room layout modifications, furniture selection including ADA compliant work benches and electrostatic discharge chairs, audio visual services and data connections were tailored to the renovation. Architectural, HVAC and electrical services were provided.